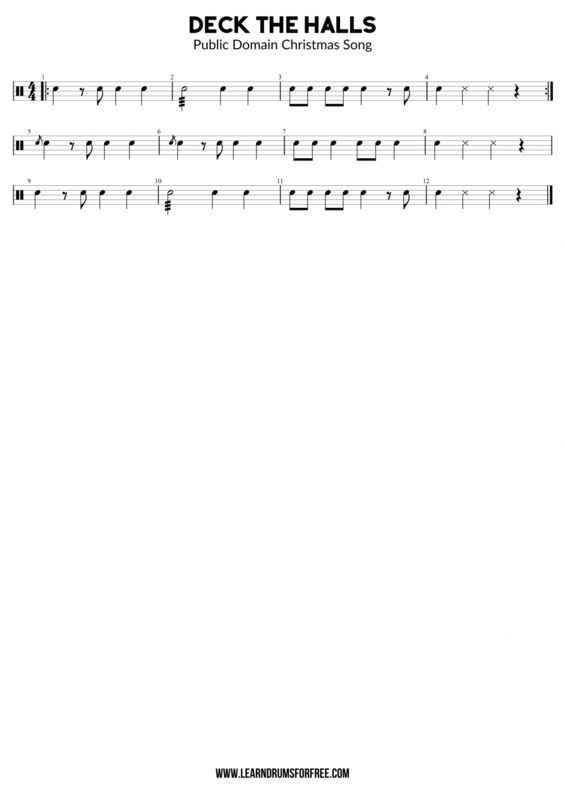 Here is a short snare drum piece for the public domain Christmas song ‘Deck The Halls’. The snare drum sheet music is grade 1-3 level. The X’s are snare rim hits.